B.C. Premier Christy Clark is ending 2014 with her approval rating essentially unchanged — but her ranking still lands her among the least popular provincial leaders in Canada. Thirty-four per cent of respondents approved of the job Clark has been doing, according to a new opinion poll by the Angus Reid Institute released Tuesday. It's a slight increase from the 31 per cent over a year ago, but a drop from a high of 45 per cent in June 2013. The only premier who fared worse was Manitoba's Greg Selinger, who came in at an all-time low of 17 per cent approval, down from 30 per cent in September. Brad Wall in Saskatchewan remains the most popular premier with a 65 per cent approval rating. Clark has been pushing ahead with her Liberal government's plans to create an LNG industry in the province, and stickhandling opposition to pipeline projects including the Trans Mountain expansion in Burnaby and the Northern Gateway plan. Also released Monday was another survey which found similar satisfaction ratings, with 34 per cent of respondents approving of Clark's job performance. 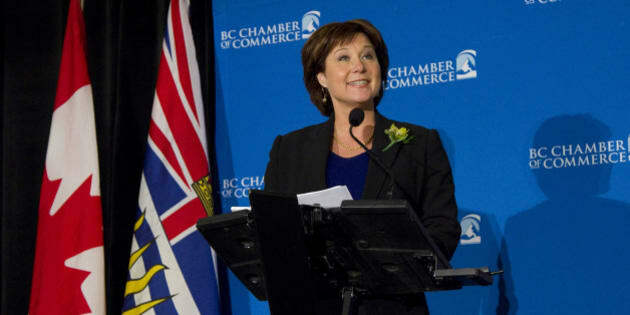 The "BC Government Report Card", by Insights West and Business In Vancouver, found that residents are losing confidence in how Clark's government is dealing with hot topics. "The biggest drops observed for the provincial government this semester are on the environment, energy and accountability," said Mario Canseco, vice-president of public affairs at Insights West. "Still, there is also a higher level of dissatisfaction on issues that used to see better ratings, such as safety and jobs." Only 27 per cent felt the Liberals did a good job in dealing with the pipeline issue, while 18 per cent said they handled the Mount Polley tailings pond spill well. The Angus Reid online survey of 6,456 Canadians was conducted from Dec. 4 to 13, while the Insights West online poll surveyed 805 adults in B.C. from Dec. 4 to 6. The polling industry's professional body, the Marketing Research and Intelligence Association, says online surveys cannot be assigned a margin of error as they are not a random sample, and therefore are not necessarily representative of the whole population.